Some days, you just can’t get rid of a good pulse bomb, so the game does it for you. 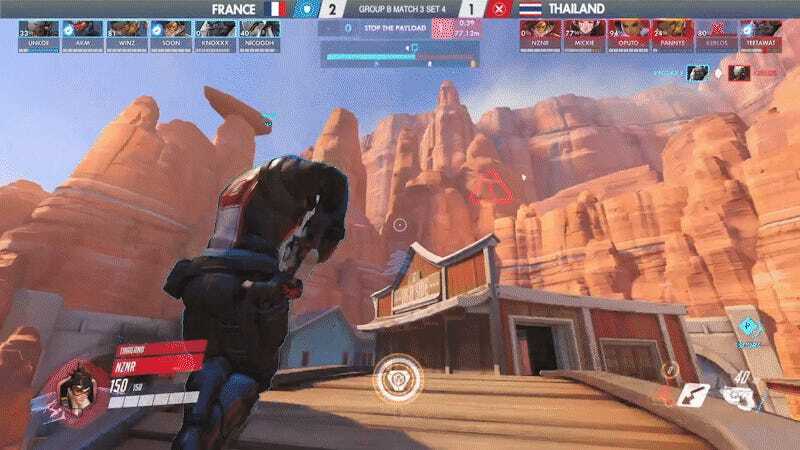 As group B matches continued this morning in the Overwatch World Cup 2017 Shanghai Qualifiers, one moment caught viewers by surprise. 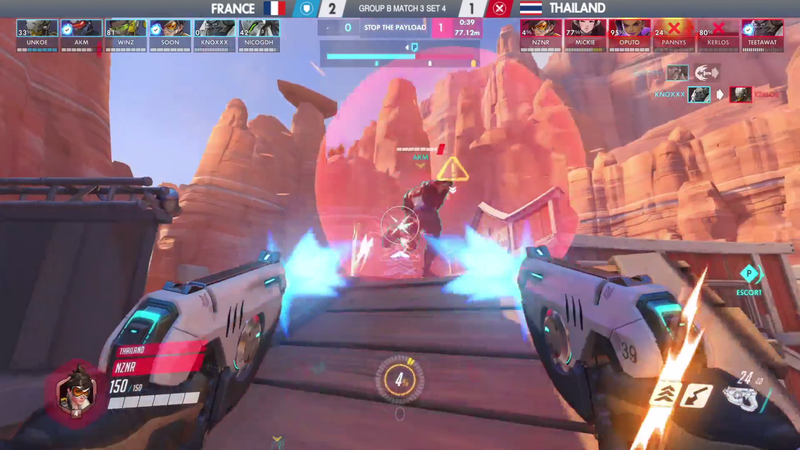 Thailand’s Sasalak “NzNr” Wannarak seemed to land a pulse bomb, Tracer’s sticky bomb ultimate, on France’s Dylan “aKm” Bignet. But as Bignet runs away, bomb seemingly in tow, it explodes and does no damage. Speculation swirled around what actually happened on forums like the competitive Overwatch subreddit. Some are questioning if it ever did stick, or if a bug in the client-side prediction for spectators played a trick on the audience. Others have been slowing down the footage and see the bomb simply disappear and then explode, seemingly somewhere else. We slowed it down in GIF format to get a closer look, and it’s still hard to tell just what happened. 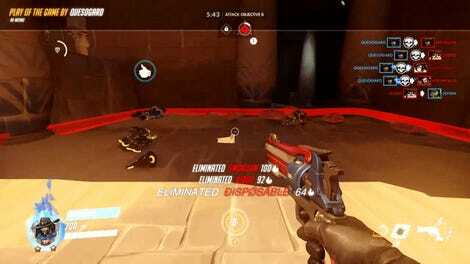 It’s pretty clear that the sticky, from the spectator perspective, leaves Tracer’s hand and somewhat attaches to Soldier 76, but then it seems to just fizzle out. France would go on to win the match 3-1 against Thailand, leaving them top of group B. The final qualifier games of the group stage will wrap up later tonight on the PlayOverwatch Twitch channel.